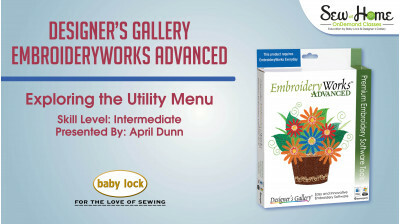 April has been working in the sewing industry for over 30 years, joining Baby Lock in 2001 and part of the National Sales Training Team just a few years later. Sewing has been in her life as far back as she can remember- her mom had a love of fine fabrics and sewed when she was young & her grandmother started her, while in kindergarten, with her first project, a scrap doll quilt. She was born and raised in St. Louis, MO and is a graduate from the University of Missouri-Columbia with a Bachelor of Science in Textiles. She and her family currently make their home on Long Island in New York. April brings lots of sales, teaching, sewing, writing and computer skills to the Training Team. 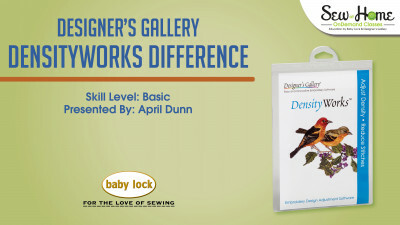 As part of the Training Team, she is involved with Baby Lock Tech & the Sewlution Certification program; handles all sorts of class and support tasks for Retailers and Consumers with Sew At Home & Love of Knowledge websites; and many behind the scene and support tasks for both the Retailer & Express sites.